Hello and welcome, Judith. Great to see you here today. Tell me, why did you choose to write in your particular field or genre? If you write more than one, how do you balance them? Although I’ve read widely in most genres, the one I always come back to is historical. 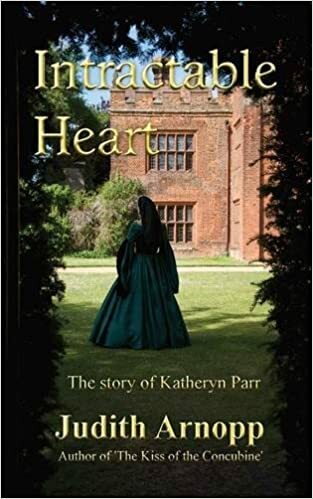 I’ve written for fun all my life, teenage romances, children’s stories but after university when it was time to write professionally, I wanted to put my skills to use so ‘historical’ was the only real choice for me. I enjoy and am good at research. I absorb myself in historical sources for months, then put them to one side and imagine myself into the head of my protagonist. I am more at home in a draughty castle than a modern office and I like to explore that old question that has always haunted me since I first read history as a child, ‘What did that feel like?’ I find the best way is to discover it for myself so I write in the first person. I want to explore what might have gone on in the minds of my protagonist. I like to find reasons for their sometimes peculiar actions, and the best way to do so is to walk in their shoes, suffer their trials, feel the edge of the blade that cut them. I blame my mother, ha ha. She used to listen to LP’s of Shakespeare’s plays while she did the housework and I must have absorbed them while I played. Hamlet used to scare me to death, although a lot of it must have been over my head, and I have memories of The Tempest and A Midsummer Night’s Dream. The more we listened to them, the clearer they became and by the time I studied them at school I was already half way there. Thanks to mum I did very well in my English Lit exams but not so well in maths. Shakespearean language never seemed strange to me, probably because I’d heard it as such a young age. Forever, I think! I used to make little books and read them to my dolls, then I wrote stories and poems throughout my teens, wrote stories for my children as a young housewife. It wasn’t until I enrolled at University as a mature student that it occurred to me that people might like to read them. My tutor, playwright Dic Edwards, encouraged me to try to get something published, if he hadn’t done so I’d probably still be writing for fun. It has been a long haul since then; writing professionally is very different to writing as a hobby. My first book, Peaceweaver, was published in 2009, since then I’ve written a further seven novels but I am still learning, refining and improving my technique. I will never consider myself good enough. My intentions with The Beaufort Bride and the subsequent books in the trilogy was the same as everything else I’ve written. I wanted to give the women in my stories a voice, try to slay some myths about medieval women. The trouble with history is that everyone believes their pet theory to be the ‘truth.’ I do this myself. I am constantly reminding myself that there is no truth, there is only opinion. There were no saints, no monsters, just ordinary people living in extraordinary times. Whether Richard the third was a hunch backed monster or a saintly king depends entirely on which side the chronicler was viewing him from. During the Wars of the Roses people frequently changed sides. Without the benefit of hindsight they hedged their bets, moving to and from whichever side seemed most likely to win. The majority of people involved in the fighting were not fighting good or evil, they were after power. Each side as flawed as the other, each side convinced of their rights. In my books I try to illustrate this. A character may appear to alter from one book to the next depending on whose view point it is written from. 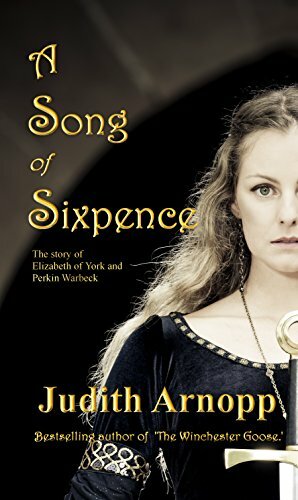 In A Song of Sixpence if Margaret Beaufort seems to be a bit of a dreadful mother in law, it is because I am writing from Elizabeth of York’s point of view – I don’t believe anyone on this earth would embrace such interference in a new marriage. I enjoyed writing the tension between them but during the course of the book the women do bond and work together as history suggests they did. Initially they are wary of one another – as women tend to be. The Beaufort Chronicles are written from the perspective of Margaret Beaufort and I am giving her the chance to demonstrate her better qualities. She dedicated her life to putting her son on the throne she believed was rightfully his – she succeeded and should be applauded for that. Margaret of Anjou on the other hand, failed to put her son on the throne and, since the victors write the history she is remembered rather differently to M Beaufort. I also try to show those inner thoughts we all have, thoughts we would never speak out loud. Historical sources can never reveal everything; it is easy to misinterpret records that were written for a particular monarch. All scribes had an agenda, just as they do today, I never let myself forget that and I hope I succeed in illustrating it. Researching the Wars of the Roses is a continuing nightmare. There are so many battles, so many deaths, so many Edwards, Henrys, Margarets and then of course they are often referred to by title alone, so you have to work out which Duke of Somerset (or wherever) they are referring to. Although I try to simplify the facts so the reader doesn’t become confused or bored, I have to know them myself, there are no short cuts. Sometimes I am cross-eyed after a day of research and have so many notes I can’t make head or tail of them. If there was only some way of assimilating knowledge without having to read all day, I’d pay a fortune for it for the sake of my eyes. The good thing about writing The Beaufort Bride, and The Beaufort Woman (I am half way through book two) was finally presenting Margaret Beaufort as a human being rather than some evil, religious fanatic. In almost every book you read she is either a little crazy, or an evil schemer. The Beaufort Bride traces her early life – which by anyone’s terms was horrendous – it is refreshing to meet her as a girl, suffer her trials and, as the books progress, watch her grow into the formidable woman she became. By the way, when I say ‘formidable’ I mean it in a good way. She was strong, determined and ultimately successful – qualities that even today are admired in a man but still tend to be viewed with suspicion in a female. 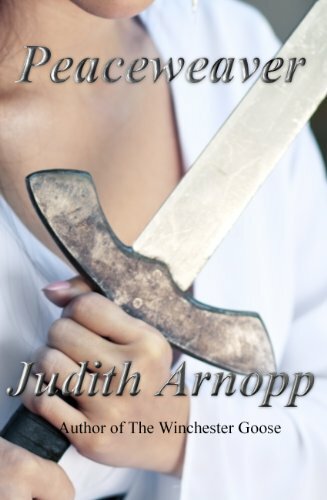 Some readers have said they were surprised when they read their first ‘Judith Arnopp’ novel because they’d expected a romance. Love is at the heart of most of them, after all love is part of being human, and that is what my books are about really. 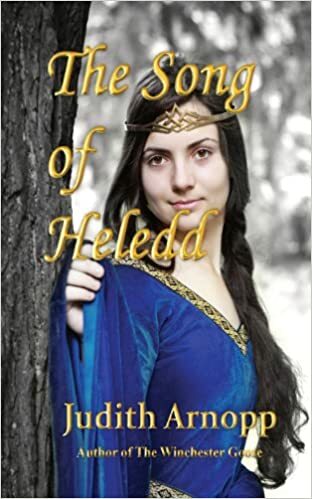 Human beings, female ones mostly, but there are also male narrators, and lots of violence, war and the torture of being a woman left out of the fight, forced to sit at home and allow the men in her life, her husband and sons, to sacrifice themselves for the cause. Most people who read historical fiction seem to have pet theories on various historical events. I’d really like it if they’d realise the possibility that their theory may be flawed. There are two sides to every coin, as they say. None of us know what really happened. Even events that took place last week are already distorted by inaccurate reporting, bias accounts and downright lies, or misinterpretation. As the years and centuries pass those ‘facts’ can only become more and more distorted. The ‘truth’ of the past really is inaccessible; we can only produce a pale shadow of it. History is fun but it was a long time ago, it really isn’t worth fighting over any more. There are many, many varying accounts and opinions of every historical event. From dates to hair colour, reports vary. An author has all those accounts at his/her disposal and has to decide which path to take through a maze of conflicting accounts to produce a story to entertain. Please don’t castigate authors for poor research, getting it ‘wrong’ – in most cases they have taken a decision as to which chronicler to believe and, for most of us, the story is paramount, not the question of the shade of a man’s eyes. I am lucky enough to write full time. That doesn’t mean eight hours a day at the desk though, it involves a lot of lounging in the garden or on the beach (I live on the coast) with research and note book. Sometimes it involves travelling to places that will feature in the completed novel – castles, palaces, churches, monasteries. I attend historical events in my Tudor clothes, discovering how it felt to wear one, what restrictions there are to actions we take every day – running, bending, climbing stairs – it is quite eye opening. I am beginning to think women were put in such clothes to further restrict them. I find I write more in the winter or if we have a wet summer, (which is far too often). The nicer weather pulls me away from the keyboard, although I try to make up lost time in the evenings. Being a writer is very lonely, sometimes I don’t see a soul apart from my husband and the postman for days on end. I am a loner by nature but it gets to me sometimes, and I force myself to go outside and smile at passers-by so I don’t lose the knack. I am self-published. In the early days I send work off to publishers. I even had an agent for a while who wanted to totally change the way I write, which for me wasn’t an option. My career began too late in life to sit around waiting to be noticed and once self-publishing became more accessible I wasted no further time on the traditional route. It seems to me the bigger publishers don’t know what they are looking for any more, and the smaller ones can offer very little more than self-publishing seriously. Although I was rejected, my books have found readers and my followers are growing daily. I am constantly asked how soon my next book will be available and it is hard work to keep them happy. I have to market and interact socially on line even if I don’t feel like it. You have to approach self-publishing as a business – that is what it is after all and it is vital to be as professional as possible. There are no short cuts. I made mistakes in the early days but it is a learning curve and I am getting better and better with each novel I write. I do the interior formatting myself, have a troop of beta readers, a lady who helps with the covers, and most important of all, I have a super competent editor. Since kindle became an option I haven’t looked back. I have eight historical novels now available in both kindle and paperback, a band of followers from all over the globe, and every day my inbox is full of messages from happy readers. I would totally recommend self-publishing but … you have to do it right. As to ebooks vs print, well I think there is room for both. The ease of the kindle is brilliant, saves shelf space at home and trees in the environment. I don’t think they will ever replace real books; there is a place for both in my life. If I read a book on my kindle and enjoy it enough to feel it is a keeper, I buy a copy for the shelf. All my research books are paper books since I find them easier to navigate quickly. My favourite quote on the subject is ‘Escalators haven’t replaced stairs so why should ebooks replace books?’ but I forget who said it now. I don’t know but it worries me a bit. As the world grows faster people want to access stories quicker, or listen to a book while they do something else. This is sad. I think a book should be read slowly and thoroughly. There is nothing like a long, lazy read on a hammock in the garden, putting it down at the end of a chapter, keeping it with you for a long period so that you ‘live’ it rather than read it. One can easily miss things if you read too quickly, small details that an author takes such trouble over should not be quickly scanned. When I see people on facebook bragging they’ve read over a hundred books in six months I always suspect they have missed out – in my experience less is sometimes more. The price of books is also a cause for concern. None of my kindle books are over £3 yet I’ve still had people say they are too expensive. The age of fast paced, easily accessed information has no regard for the months of hard work that goes into one short novel, and if someone resents paying less than a cup of coffee to read a good book, well then they are missing out. What these people don’t realise is that if everyone refused to pay more than a pound, authors will be unable to make a living at writing. If they all seek careers elsewhere we will all be the poorer. What is your role in the writing community? I am easily spotted on google, Facebook and Twitter. One of the first things I do of a morning is share other writer’s posts. Mutual promotion is invaluable in our job and I help as many authors as I can. It is not always reciprocated but most people are decent enough to return the favour. I have given a few creative writing courses at university, and hopefully helped some would-be indie authors take their first steps. I have made some lovely friends in the writing community. I have contacts all over the world and a few authors who have become very special indeed. 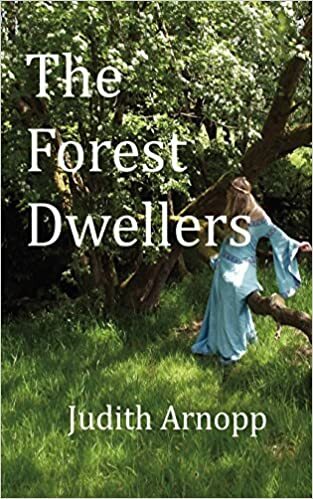 The recent book fair at Llandeilo introduced me to some new authors and I am looking forward to seeing them again, and meeting some new ones at Tenby in September. What a wonderful interview. I was totally absorbed in what Judith was saying, often nodding my head in agreement. I’ll definitely be taking a look at the Beaufort Chronicles. Great interview, found it really interesting, like to read historical fiction from time to time so will be keeping this author in mind. Thank you for dropping by Marje. Judith’s books are facinating. 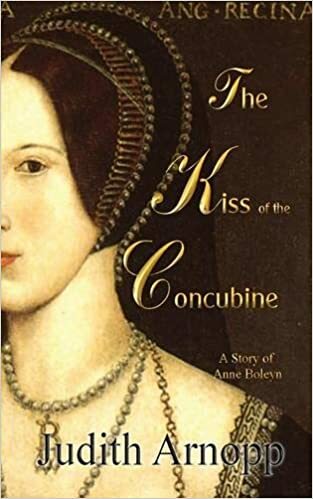 In her series on authors attending the Tenby Book Fair, Judith Barrow has introduced us to eleven talented writers and today is no exception Judith Arnopp is author of seven historical novels.. including Kiss of the Concubine a story of Anne Boleyn.